Carrie Walton rents her Santa Cruz vacation home to travelers who book on the website VRBO.com. She paid VRBO $1,200 for a one-year platinum membership, a subscription designed to boost her home's ranking in search results on the site. Chris Chmura reports. Carrie Walton rents her Santa Cruz vacation home to travelers who book on the website VRBO.com. She paid VRBO $1,200 for a one-year platinum membership, a subscription designed to boost her home's ranking in search results on the site. "Someone looks, there's maybe 10 pages of homes, and maybe this way, with platinum, you'll be on the top of the page, most likely at the top," said Walton. And the investment paid off. Walton said renting her home was a breeze, at first. But three months ago, VRBO started charging travelers a service fee -- 4 to 9 percent of the total cost of the rental. It's a fee VRBO pockets, not Walton. Walton says this service fee wasn't part of her agreement with VRBO. And now, because of it, travelers aren't renting her home because it's too expensive. "We didn't pay a platinum subscription to have VRBO scare business away," said Walton. Adding fuel to the fire, Walton's listing fell way down on VRBO's search results. She says VRBO told her it made yet another change - this one to its algorithm, and her platinum membership alone no longer guaranteed high search results. Walton says her $1,200 platinum membership is now worthless, because she isn't getting what she paid for. Leena Shah's story echos Walton's. She paid a platinum membership fee, and when the new service fee kicked in, she says rentals of her Maui condo drastically dropped. And so did her search ranking. She's been asking VRBO to refund her platinum membership, but has had no luck. "I'm just throwing my hands up in the air now with VRBO," said Shah. Walton and Shah aren't alone. Complaints about VRBO litter the Internet. Angry homeowners even created a Facebook page. The complaints also landed in attorney Michael Bowse's office. "We receive dozens and dozens of calls, multiple calls, a day," said Bowse. Bowse filed a class action lawsuit against Homeaway, which owns VRBO, accusing the company of bait and switch and breaching its contracts by charging the new service fee. "So it essentially took people's money under one set of circumstances, and then changed the circumstances once it took their money," said Bowse. Walton and Shah aren't part of this lawsuit yet. But they want their money back. "I want my money refunded because it's a breach of contract," said Walton. "It's not what I signed up for." 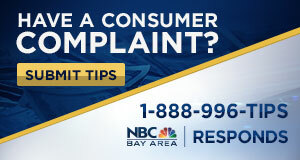 NBC Bay Area Responds asked VRBO if Walton and Shah would get a refund for their platinum membership. The company wouldn't answer our question, citing pending litigation. VRBO also said that since adding the new service fee, it's delivering more happy customers to VRBO owners. It also said that travelers' peace of mind during their trip is what matters most, so as part of the new service fee, it's introduced new security guarantees and 24/7 customer service.